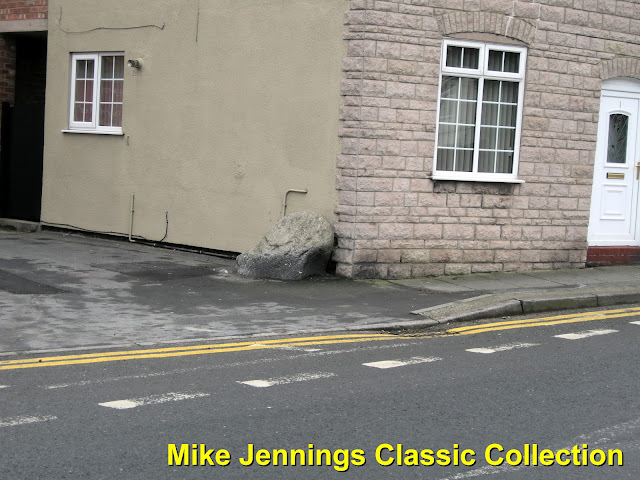 I was asked how many mounting stones were left in the town? I have had a look around and found two. One at Brooks Lane bridge (above), which used to be against Hamnett's Bakery. There may be more, but I have not seen them. My father tells me that there were mounting stones at The Boar's Head, The Kinderton Arms, The Golden Lion, The Crown (now The Narrowboat -Ed), The Kings Arms, The White Bear and The Big Lock. Would all these places have had stabling facilities? 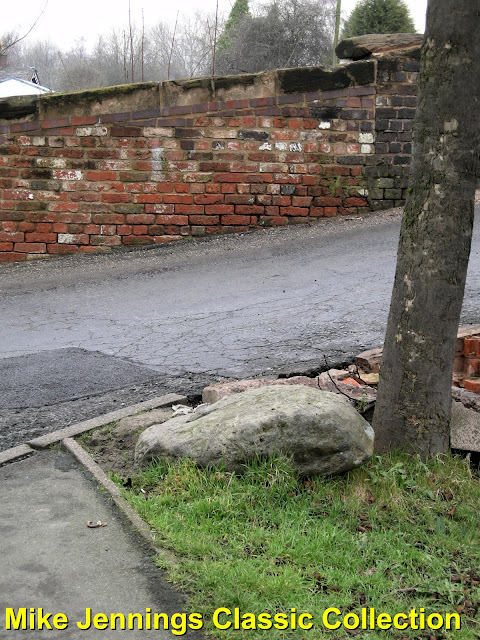 I'm sure there will have been more of these stones around the town. I'm not sure they were all mounting stones, but may have been there to protect corners of buildings from wheels? Many thanks to Mike for the photographs. I think that the vast majority of these stones were guard stones, rather than mounting stones, although one or two of them were high enough to have been used for both purposes. Most mounting stones, though, have a little flight of stone steps leading up to them. The purpose of a guard stone is self-explanatory. They were placed near walls, usually near gateways, to prevent the metal-tyred wheels of carriages and waggons causing damage to the brickwork, a precaution made necessary by the fact that the drivers of such vehicles were not always aware of the turning radius required to negotiate corners, situated as they were (particularly in the case of carriages and stage-coaches) quite a distance from the actual wheels of their vehicles. Added to this was the fact that the wheels of horse-drawn vehicles often had iron hubs which protruded quite a distance from the actual wheel and could cause additional damage to property. And there are many variations on the theme - some buildings have metal cladding wrapped around their corners; others have an entirely separate iron post for the purpose. Nor is the idea entirely a thing of the past. Some modern shops, for example, have such metal guards to prevent damage from pushchairs. 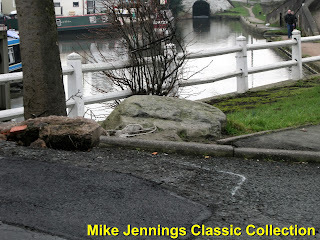 We welcome reports, and photographs, of other guard stones around Middlewich. Below are close up views of the stones Mike has seen. 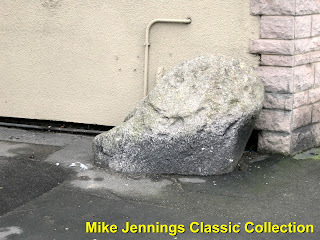 Colin Dutton The guard stone at the Red Lion was to protect the hay barn as it was a coach house and is over 3 ft deep as the gas board had to dig around it to supply gas to the house. Im sure there is one on the corner of the alleyway opposite Daves fishing shop. The 'White Bear' had stables behind the main building, accessible through the archway. I believe the stables were turned into commercial buildings. There were stables behind some of the houses along Booth Lane as well, up by Jubilee Terrace.